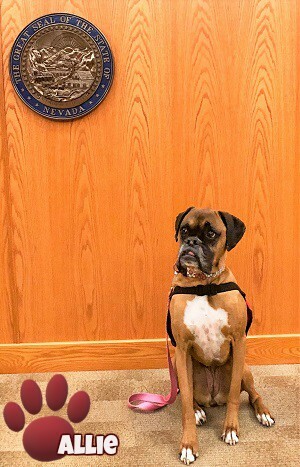 Sparks Justice Court has partnered with Paws 4 Love to bring therapy dogs into the court setting. 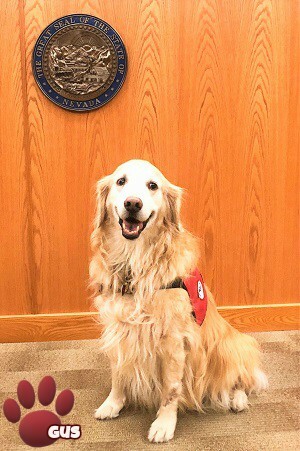 Medical studies have shown that simply petting an animal can lower blood pressure and heart rate, and lessen anxiety and depression. 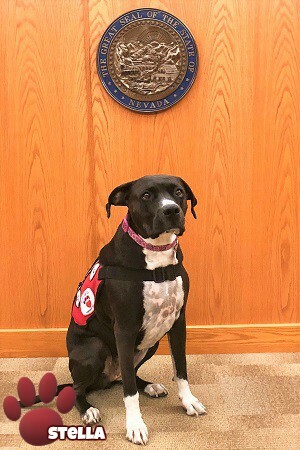 Please click on the link below to read more about Paws 4 Love and the wonderful work they do in our community. 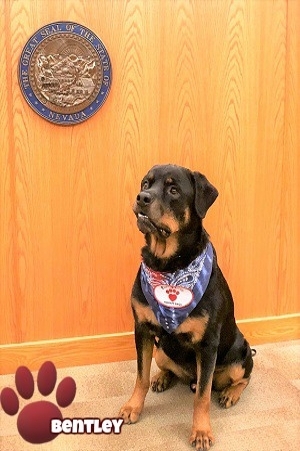 June 8, 2016 - The Sparks Justice Court Judges meet the "Justice Dogs" of Paws 4 Love! 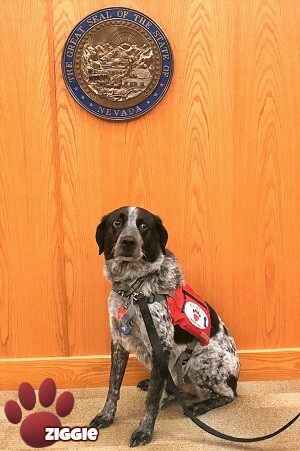 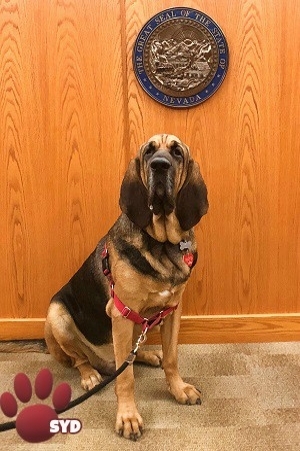 All 8 of the furry members of the "Justice Dogs" team from Paws 4 Love came out for a meet and greet with the 3 Judges at the Sparks Justice Court. 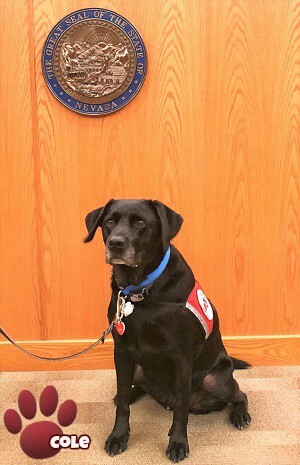 It was a great opportunity for the Judges to be able to meet the dogs that are there to help ease the stress of the court's customers. 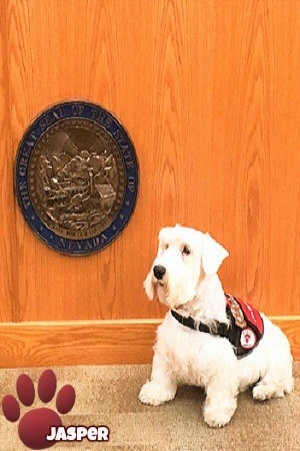 KRNV Channel 4 News and KOLO Channel 8 News were both present to capture all of the tail wagging and paw-shaking.